Newbury & District is set for its first operational changes since it was acquired by Reading Buses last September. All Newbury & District routes (1a, 1c and 103) will become part of the Reading Buses ‘simplyNewbury & Thatcham’ area. The current offer of free travel to concessionary pass holders on Newbury & District services (and 50p on Jet Black) before 0930hrs on weekdays will be replaced by a new special £1 single fare for concessionary pass holders. This will also be introduced on all Kennections services in the Newbury & Thatcham area for the first time. 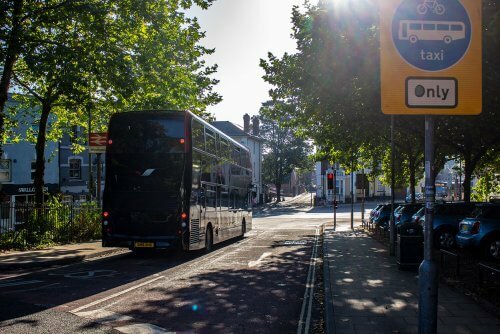 Reading Buses Chief Executive Officer, Robert Williams, explained that the two operators have been reviewing how they can work closer together and maximise the benefit of being under the same ownership. “By making these changes, we can consolidate all our operations in the area and provide an integrated network that is financially sustainable for the long term future,” he said. Reading Buses has also helped Newbury & District upgrade its ticket machines to allow contactless and mobile ticket payments to be introduced. “Contactless payment is a huge bonus for many customers who aren’t sure of their bus fare or have not had the opportunity to get cash,” continued Robert. “So we are really proud to be able to offer this facility to Newbury & District customers for the first time.